Radiology workflow is unique in healthcare with the added complexity of accession tracking, PACS/RIS integration, shorter turnaround times and related (linked) orders. Arrendale understands each of these complexities and its effects on radiology efficiency, workflow and billing. Current radiology customers, some averaging over 600 reads per day, thrive on our technology platform and its speed-enhancing features. Our multi-level quality assurance and transcript grading software help your practice produce the most accurate documentation which is so important for patient care and legal protection. Arrendale’s PACS integration and speech recognition flexibility will make your entire department more productive. Each radiologist, or practice, may choose between our behind the scenes, back-end speech recognition or front-end Speak-EZ✚ speech recognition. Speak-EZ✚ adds several integrated features not available with stand-alone Dragon such as an electronic signature option and transcript delivery automation. We include a ‘Submit to Transcription’ button for those jobs when the radiologist does not want to edit his/her own speech-recognized text, but prefers to send out for others to complete. Our linked orders handling (aka as additional orders) saves time because one dictation and e-signing event may process up to ten related views. For radiology groups looking to improve their electronic signature process, our web-based signature module allows radiologists to listen to the voice file using the media player bar, sort transcripts several ways (in versus out patients, with or without blanks) and to send a note back to transcription with comments. Smart phone and tablet viewing and esigning allows radiologists to complete their work outside the office, wherever they have an Internet connected smart phone. To accommodate your facility’s policy, our platform will allow or prevent general transcript viewing and HL7 delivery until after electronic signature. Our software’s automatic transcript delivery includes HL7, folder drop, automatic faxing and configurable printing. Arrendale’s PC-based dictation integration to typical PACS systems includes the receipt of order and patient demographic data, enabling the radiologist to press a single function key and begin speaking, while eliminating the dictation system prompts and scanning of the past. Our accommodating interface team matches the HL7 message types and formats mandated by your PACS and RIS vendors to avoid costly interface fees. Our integration team has worked with all the major PACS and RIS vendors including Fuji, GE, McKesson, Merge, Philips and more. 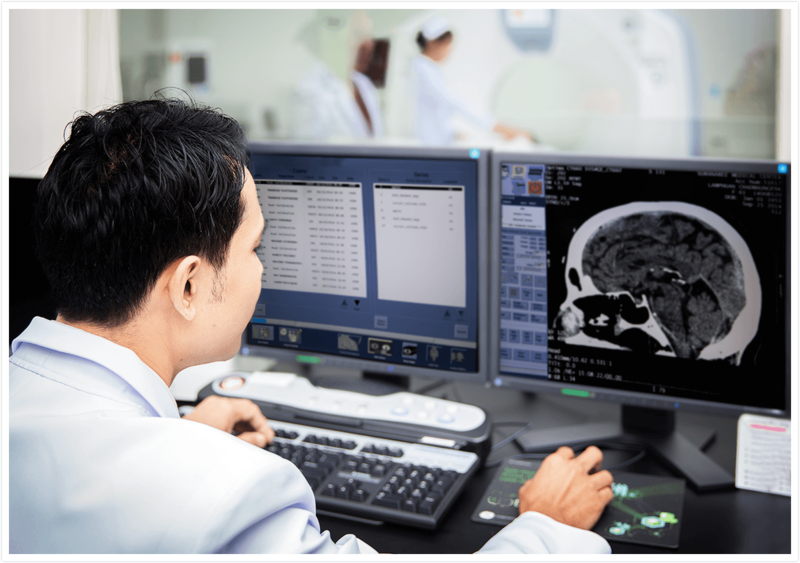 Rounding out our radiology offering is a robust set of management reports detailing turnaround times, speech recognition accuracy, e-signature tracking and dictation activity. Call 800.344.1323 to learn how Arrendale’s fully-featured dictation and speech recognition platform can help streamline your radiology department’s workflow.